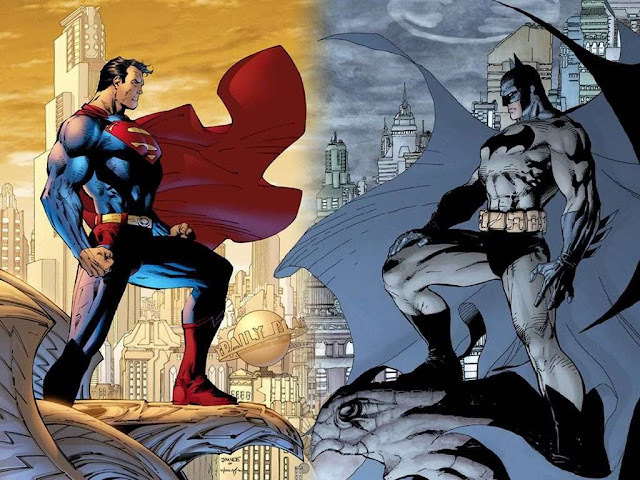 Home / movies / teaser / Superman-Batman Face-off Movie in 2015, Announced! Superman-Batman Face-off Movie in 2015, Announced! I was very sure that Man of Steel would definitely get another follow up film and here we are weeks after the release of the most anticipated film of the year, Zack Snyder officially announced that the next Superman film would include Batman. Yes that is right, it was announced couple of days ago at the current Comic-con 2013 in the US. And best part of the breaking news is that we would not need to wait too long so see Clark Kent again in the big screen as it's release date is going to be in 2015. We all know that Man of Steel has been breaking box office records around the world since its release in June and that is more than enough for Warner Bros. to make another Superman film and eventually a Justice League movie sometime in the future. Like what I said, I was already expecting a follow up movie since the first day I saw Man of Steel but what I was not expecting is a team up like this. A team up of two of the most successful superheroes in the big screen, Superman and Batman or should I say Man of Steel and the Dark Knight. According to reports around the internet, Henry Cavill will reprise his role as Clark Kent/Superman in the next film which is also a good news to hear plus Zack Snyder will still direct this sequel and that is just SUPER! However, for the Bruce Wayne/Batman role, most likely Christian Bale will not go back to put on the suit again as he has been saying recently (prior to this announcement) that he has no plan of returning to the DC franchise. So as of the moment we do not have a face yet for the Batman in this 2015 high profile movie. But there are already some people, actually part of me is included, are thinking that it could be Joseph Gordon-Levitt 's character would be in the film. For those of you who have seen the Dark Knight Rises' ending, you know what I am talking about here. But still the rest of me is saying that it will be a Bruce Wayne character that will be in the Superman-Batman face-off. David Goyer, who wrote the Man of Steel gave two possible titles for this film and it could be Superman vs Batman or Batman vs Superman, although the title is not official yet but the idea of the film or plot is largely related to the titles. If that's the case, then we will see these two superheroes fighting and knocking each other and there is already a question in my mind. How are these two going to fight? Alien vs human,. super man vs rich man. To me, it is impossible for Batman to put Superman to the ground after seeing their latest movies. Superman has his natural Kryptonian super abilities and Batman has his money, gadgets and technologies available to him. But that's still a surprise for everyone. If this movie will come to life as announced, then it is going to be the very first time we are going to see these two iconic DC superheroes in one movie just like Jackie Chan and Jet Li in the Forbidden Kingdom. Other reports also say that either before or after this Superman vs Batman movie, Warner Bros. will make a Flash movie then the Justice League in 2017. So as of writing, I already have 3 major movies expecting and anticipating to see in 2015. What are the other two? Joss Whedon's Avengers: Age of Ultron and J.J. Abrams' Star Wars Episode 7. The problem is, we still have almost half of 2013 and then there is the 2014 coming up before we have the 2015.